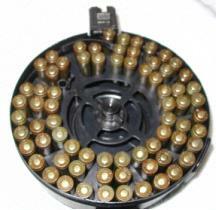 Developed primarily for the RPK, drums were developed to hold a very large amount of ammunition to reduce the number of magazine changes necessary during long burst. Since the RPK in 7.62*39mm can accept both 7.62*39mm drums and AK magazines, the drum is capable of being used in the AK, though it was not the original intent. Used primarily as a novelty with the AK because tactically they are unsound, due to the fact that they weigh a great deal more then a standard 30 round magazine, and make a rattling sound when walking or moving. Despite these shortfalls, many AK lovers use them at the range to reduce magazine changing times, and or make the bump last longer. Drums come in two capacities, 75 and 100 rounds. 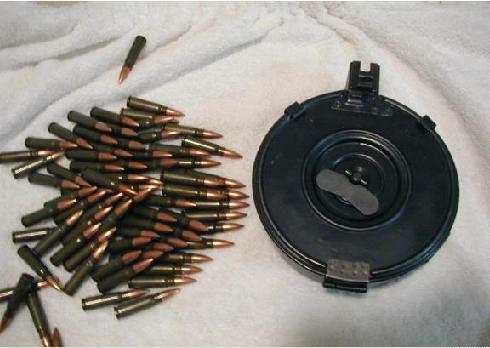 This tutorial depicts the loading of a 75 round drum, which can be applied to a 100 round drum easily. The Chinese Type Drums can range in prive from $75 - $130 a piece. (NOTE: This tutorial is for the Chinese Type Drum, not the Top Fed Russian Type Drum). First, detach the two clips holding the cover on. Pull the cover down until the drum is open. 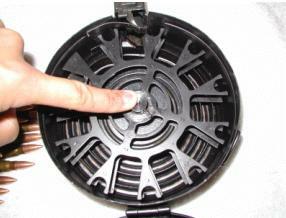 Push the button in the middle of the drum to release the spring tension. 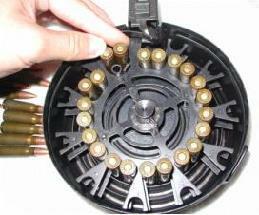 Begin placing cartridges in the spider starting with the slots next to the follower and continuing around in a spiraling pattern towards the lips of the drum. 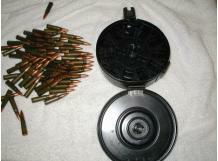 Put the cartridges everywhere where they will fit until the drum is full. Once you are done shut the cover on the drum and you are done! 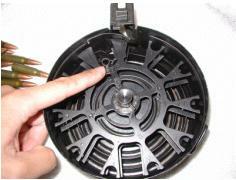 Before using the drum in your AK, you will want to wind it. 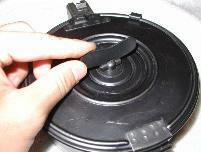 Locate the knob on the back of the drum and turn it clockwise between 3-4 turns until it is tight. 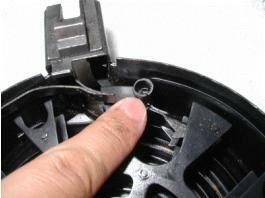 If it's not tight enough, the spring will not push the cartridges up fast enough to cycle properly. 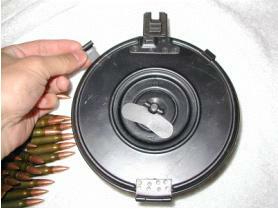 If it's too tight, it will be too difficult for your bolt to strip the rounds out of the drum. On Shawn's drum it's 3.5 turns. You will want to find the right amount of spring pressure for your combination of rifle and drum. And that's it! You have succesfully loaded a Chinese Type Drum.